Servicing Northern Beaches and surrounding suburbs. RD PLUMBING AND GAS are ready 24 hours a day, 7 days a week to provide you with rapid response services, when you need it most. Offering reliable and experienced plumbers, RD PLUMBING AND GAS will take care of your problems and get the job done. Working both efficiently and effectively, RD PLUMBING AND GAS provide exceptional services using high quality equipment. RD PLUMBING AND GAS provide you with cost-effective solutions for all of your plumbing and gas needs. We take pride in offering the best possible services to our residential and business clients. We are so confident that you’ll love our services, we even offer a complete satisfaction guarantee. Our job isn’t finished until you are completely happy with the results. We’ll even clean up after ourselves when we have finished, leaving your home or business as clean as possible. We recognise that plumbing issues don’t always happen at the most convenient times, so we offer our services 24 hours a day, 7 days a week. You can call on us any time you have an issue and we will dispatch someone to your location as quickly as possible to fix the problem. Our goal is to get your plumbing back on track with as minimal disruption to your life as possible. Blocked drains can be incredibly hazardous. First of all, they are breeding grounds for mould and mildew. They can also lead to even bigger issues, like leaking or burst pipes, which can cause major damage to your home or business. We use top-of-the-line equipment to clear any blockages in your drains to keep your pipes flowing smoothly. Whether you are in the market for a new hot water system or simply need some maintenance work done on your existing one, we will be glad to help. We’ll provide ongoing maintenance and repairs for your system as well so that it works efficiently for many years to come. We work with a broad range of popular brands. This gives you the confidence that your system is in good hands with us. Working with gas is no easy task. It can be quite dangerous, so this is something that you should definitely leave to the professionals. We can help maintain your existing gas lines or we can install new ones so that you can put in a gas heating system, outdoor kitchen or even a new cooktop. We’ll make sure that your home or business is fully safe while we work, taking every precaution to prevent any accidents. Having running water in your home or business is one of the most important modern conveniences. We will be here for you every step of the way to keep your plumbing working as it should. With regular check-ups, we can keep everything in proper working order, saving you money on emergency repairs. 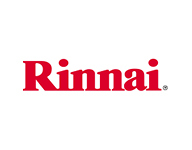 Rinnai is a leading manufacturer of heating, air conditioning and hot water systems for both residential and commercial applications. Its hot water systems come in both gas and electric versions to suit your needs and preferences. They include tank, continuous flow and even solar models, taking your standard hot water system into the 21st century. 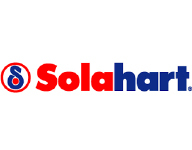 Solahart has been manufacturing solar energy systems in Australia for over 60 years, helping homeowners and businesses reduce their reliance on traditional energy sources, like electricity and gas. The brand creates rooftop water heating solutions, as well as traditional tank water heaters, all using solar power to warm the water. You’ll be amazed how much money you can save on your energy bills when you make the switch to solar power! 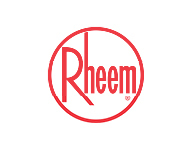 Rheem offers a wide range of hot water heaters for your home or business, including both electric and gas models. It also manufactures solar versions to help you save on energy costs. Water heaters are available in a variety of styles, including tank storage and continuous flow systems. You have many options to choose from to suit your needs, the size of your home and your water usage preferences. 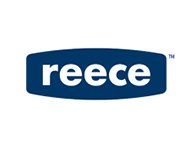 Reece is a prominent producer of bathroom fixtures and plumbing implements that are as elegant as they are functional. If you are renovating your bathroom, Reece is your ultimate source for beautiful hardware at affordable prices. We are proud to partner with the brand to assist in our work. 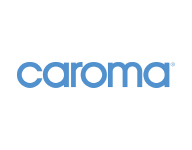 Caroma creates the products you need to take your bathroom renovation to the next level. From stunning bathtubs to elegant faucets, you’ll find everything you need to design the bathroom of your dreams. When we conduct repairs on your plumbing, we will gladly replace any parts you like with those from the Caroma line. These are just a few of the many popular brands that we work with. You can rest assured that you are always getting the highest quality of products at the most affordable prices when you choose us for all your plumbing and gas needs. From fresh installations to emergency repairs to ongoing maintenance, RD Plumbing & Gas is the best around.